Regularly checking and changing your car's engine oil and filter is one of the most important things you can do to keep your car running well and extend the life of your car’s engine. The engine oil is the life blood of your car, keeping its moving parts lubricated and transferring heat away from the engine combustion. In addition, the viscosity of engine oil holds in suspension all the nasty by-products of combustion like silicon oxide and acids. Engine oil even reduces oxidation by minimizing engine exposure to oxygen and it does all of these things under tremendous heat and pressure. What does this mean to you? Over time your engine oil breaks down and becomes less effective at doing its job. This is why periodically checking your oil and regularly oil changes are extremely important. When checking your oil, be sure the car is parked on the level. 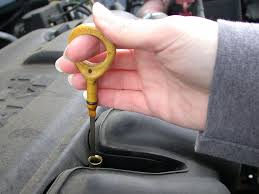 You should check your oil when the engine is cold or no sooner than 15 minutes after the car has been turned off. Remove the dipstick and wipe it with a clean, lint-free cloth. Insert the oil dipstick back into its holder and press it firmly back into place. Remove the dipstick again, this time checking the oil level against the markings on the stick. Check the condition of the oil by noting the color of the oil on the stick. Clean engine oil is a clear, golden color. If the oil is dark or black, check your service records, it may be time for an oil change. The experts at the Olympia Auto Mall recommend that you check your oil once a month, especially on older vehicles. If you need assistance, come on in. The service centers are here to help you. New and used car dealerships serving the Tacoma, Olympia, and Puyallup areas!!! Regular changing of engine oil is essential to maintain your car. The way you maintain your car is very important for reducing fuel consumption and driving long. All used car parts must check routinely, so that nothing can impact your car's performance and power.